December time is festive time, but when the festive season ends I’m sure a few of us are left with those extra kgs from the holiday. The Christmas Eve dinner, the big Christmas family lunch, the holiday treats, and all other food in between- I am not going to lie to you, I eat a lot in the festive season. But now that we are well into the New Year, its time to work those kgs off. Today I teamed up with my favorite Glam Green Girl for a fitness inspired post and look! Getting back into the swing of things is hard, so here is what I recommend doing. I use to be really into yoga, and enjoyed it a lot. It helped me get through a rough year, and anytime I would feel stressed, I use to roll out my yoga mat and do my stretches and exercises. When I look back to my pictures from 2011-2012, not only am I 5 kgs lighter, I also look healthy and good. So I am trying to really get back into yoga this year, because that’s my activity of choice. I have also gone back to the gym 3 times a week to do at least 30 minutes of cardio each time- not something that I enjoy doing but needs to be done. Test out different group sessions and activities maybe Zumba is for you ? Or good old Pilates? I promise you, you will find something that you enjoy, and once you have, stick to it and keep working at it. It’s always easier and more fun to do things with a friend. Help each other to do stretches and count their reps during exercises. Time will go by quicker, and you will enjoy it because you are spending time with a friend. Whatever sport you choose to do, make sure you have good foot gear. Cassi and I both got the Nike Roshe Run for Christmas because the shoe is stylish and still sporty and comfortable.It has nice padding for the feet, but of course this is not a professional running shoe, but because I only use it for cardio this is good enough for me. But if you are planning on doing serious running, make sure to look into your footwear properly. Back problems can arise from not having the right shoes, my dad will vouch for me when I say this(he had to have a back operation and now only wears proper sports shoes). 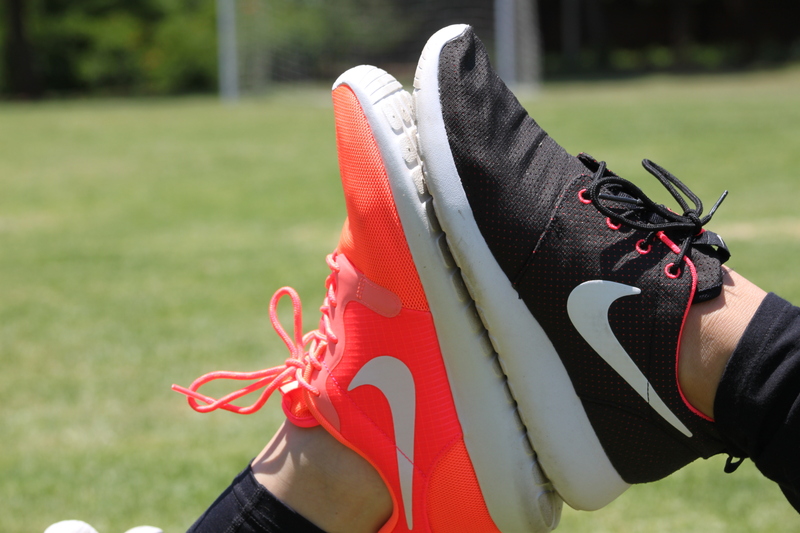 Nike and Adidas offer a huge variety of shoes that will fit your lifestyle and sports style, and they come in awesome colors and shapes. 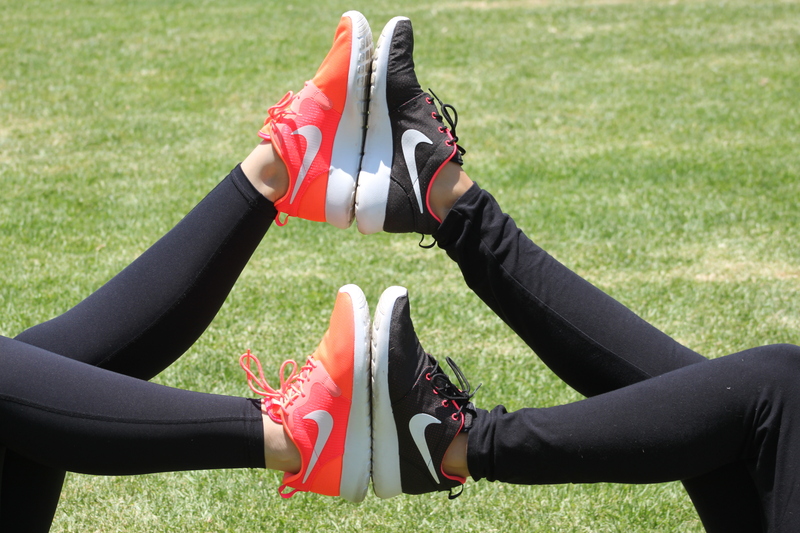 This is an investment so don’t be afraid to splurge a bit(The Nike Roshe Run are R800). 5 . Load a fun workout playlist and go! Music is a big part of a workout, so create a fun playlist that makes you want to move. Here are my Top 10 tracks from my iPod that I love playing at the gym. Whatever your music style is, make a playlist that works for you and go,go,go!